Shun Nagao manages BGA Japan’s day-to-day operations, strategically prioritizing the firm’s goals and ensuring that client needs are met at the highest level. Shun held different positions in Japan at Morgan Stanley and Goldman Sachs’ before venturing into startups in Paris. At the World Economic Forum in Switzerland, Shun was the Asia head of the organization’s Young Global Leaders Community. More recently, he was the executive director of the Silicon Valley Japan Platform, an initiative aimed at strengthening the bridge between Japanese industries and Silicon Valley startups. Shun is concurrently the venture partner for White Star Capital, an early stage tech investing venture capital firm covering the Japanese and South Korean markets. He also makes regular appearances as a commentator on a popular Internet streaming programs hosted by a Japanese politician. 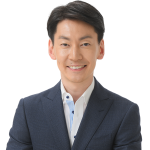 Shun has a Bachelor of Commerce degree from Keio University and a Master of Business Administration from INSEAD. Born and raised in Geneva, Switzerland, and educated in Japan and France, Shun has a multicultural background and is fluent in Japanese, English and French.